Art for art’s sake – For the fainthearted . . . 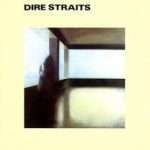 It was the autumn of 1978, forty years ago, that I bought Dire Straits’ first album. In the depths of rural Somerset, it was the days of three television channels and pop music available only on BBC Radio 1 or Radio Luxembourg. Buying a record that would have cost a day’s wages was a significant decision. The album was played again and again; I knew the Sultans of Swing by heart. The track that always prompted pondering, though, was In the Gallery, Dire Straits’ protest against the arts world. It was a track that I never heard played on the radio. A skating ballerina you should have seen her do the skater’s waltz. He could not be in the gallery. And who’s going to be in the gallery. So he’s going to be the gallery. After four decades of free market economics, we have become imbued with the notion that market value is at the heart, if not the only factor, in deciding what is good and what is not so. Even the BBC Antiques Roadshow would not be the same if the experts did not provide an estimate of how much something would sell for. People bringing things along seem not content just with beauty or intricacy or rareness or history, there must be a bottom line. The very name of the BBC Fake or Fortune programme implies that a piece of work that is genuine is significant not because of its artistic merit but because of the price it can command.